The Treasurer is one of five constitutional officers in Craig County which are elected by voters. The elected post of Treasurer was created by the Virginia Constitution in 1870. 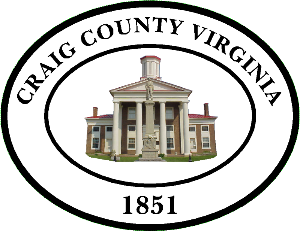 This elected status ensures that local funds will be accounted for by an officer who reports directly to the Craig County Residents. The Craig County Treasurer’s Office is committed to providing quality service to the citizens and to maintaining highest accountability of local and state revenue collections. Collection of all taxes and revenues for the County and State Tax Collection.